As part of a running series, Olivia Midgley and Alice Singleton look into the effect mental illness can have on young people, and details of help available to them. What are young farmers' main concerns about the future? Find out here in our #MentalHealth special. Statistics show young people are increasingly being affected by mental illness. 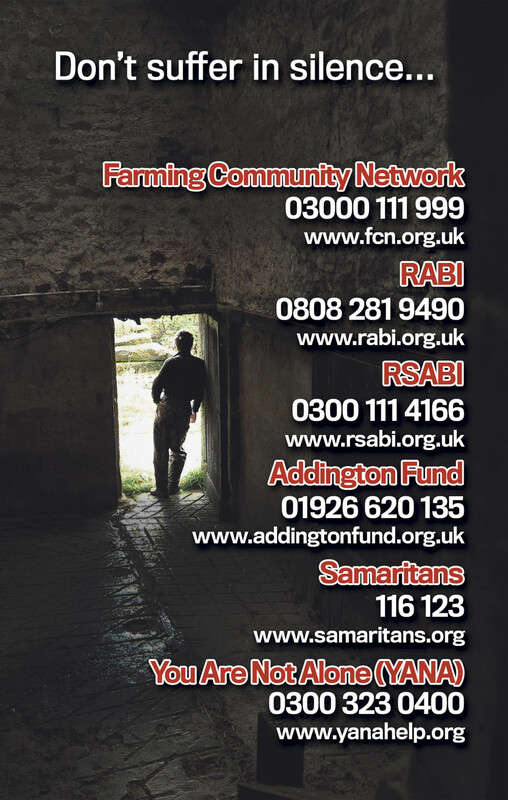 The Farming Community Network (FCN) said it had seen an increase in the number of young people seeking help and has been working with NFYFC on its Rural+ campaign (see next week’s Farmers Guardian for more on Rural+). Reassuringly, the survey revealed 47 per cent of respondents would speak to their YFC if they had a practical problem and 77 per cent would also speak to a family member or friend. Joanne Jones, FCN co-ordinator in Devon, said the charity had linked up with YFC clubs to offer more targeted support to young people. She said: “FCN in Devon is building a strong relationship with Devon YFC. The aim is to change the mindset that asking for help is a sign of weakness. Ms Jones said the most commons concerns in the South West were about living costs and bovine TB. She added: “This is something we can help them with. However, they were also worried about relationships, friendships and bullying, which is something we are not completely able to help with. “We have been working with YFC club leaders and those who are more clued up on dealing with bullying and these kinds of issues in order to help our FCN volunteers. FCN is planning a joint training event for its volunteers, YFC members, advisory and club leaders on mental health for adolescents to ensure both organisations know how to help young people. An NFYFC survey asked young people with a farming background about their hopes for the future.